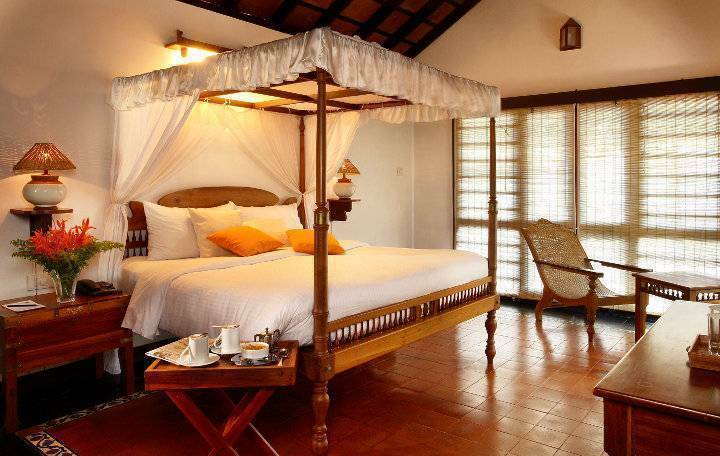 The Punnamada Resort is nestled on the serene banks of the Vembanad Lake and gives a world of heritage and luxury clubbed together. Accommodation at the Punnamada Resort is classified into 13 - Garden Villas, 5 - Duplex Villas & 8 - Lake View Villas. 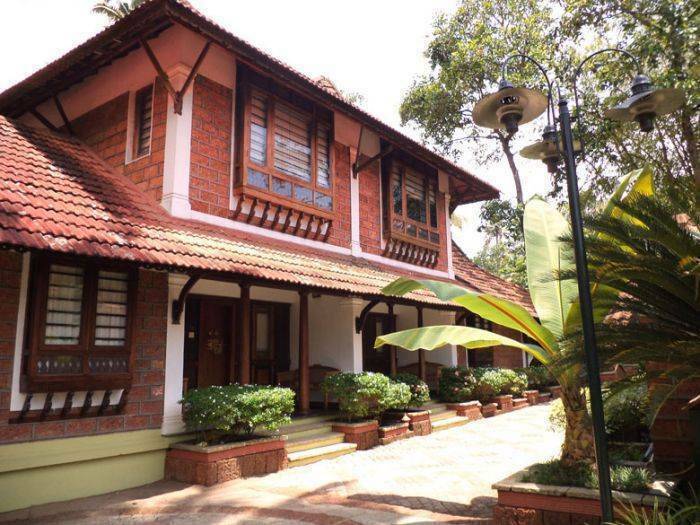 These timber, laterite and tilled Villas are well equipped (with Safe deposit lockers, hair dryers, coffee/tea makers), elegantly furnished with all the most luxurious amenities with a tinge of rich Kerala heritage and it blends with the lush green landscapes harmonically. The open roofed garden bathrooms having a shower under the light of the blue sky are yet another attraction in the resort. 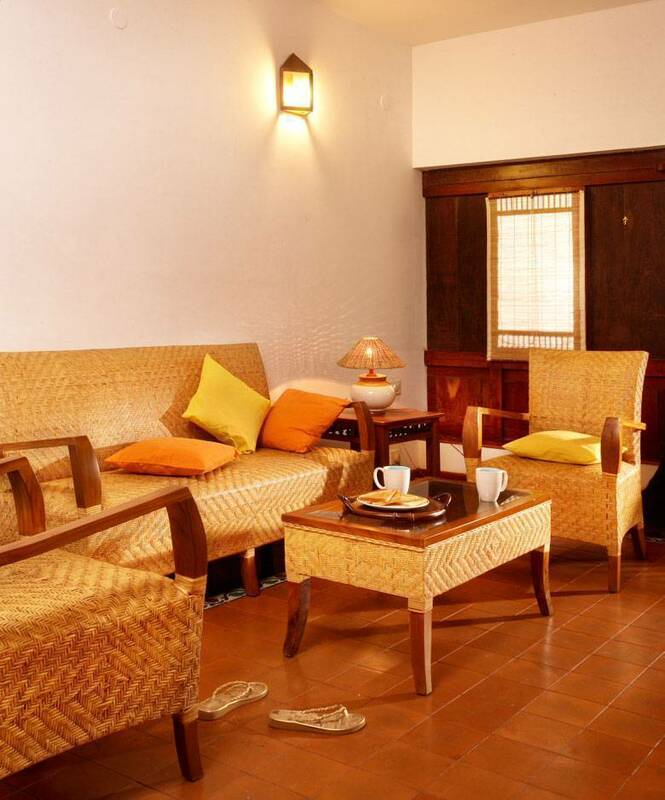 The Ayurvedic Centre at the resort is classified as ‘Green Leaf Ayurveda Centre’ by the tourism department and that is the highest classification an ayurveda treatment center can receive. 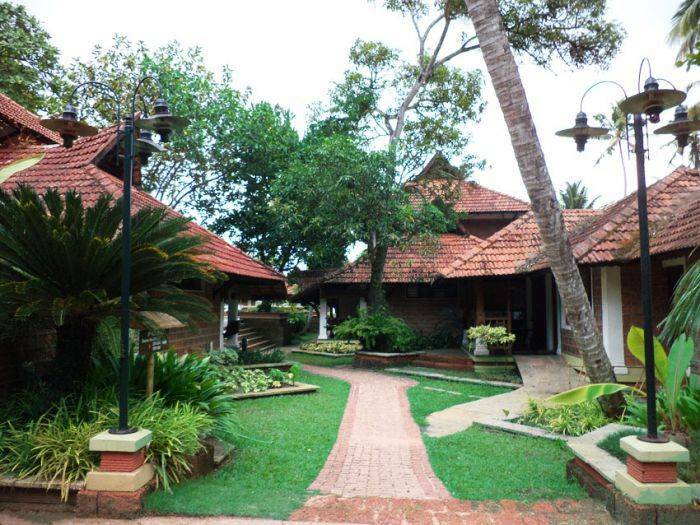 The ayurveda centre at Punnamada provides all facilities for a holistic healing including various treatments, ayurveda diet, yoga and meditation. We also have a multi-cuisine restaurant which provides 24-hour service with varied choice of food along with a selection of the finest wines as accompaniment. Punnamada Resorts also offers an array of outdoor and indoor games like Volley ball, Cricket, Badminton, Cycling for both children and grown-ups, Pool table, Chess, Caroms, table tennis etc to name a few. We also have a huge swimming pool with a kids pool attached to it. Activities like Backwater Cruises, Fishing & Bird Watching, Sunset Cruise, Local Site Seeing, Shikara ride through narrow canals, Village walk, Kayaks/Pedal boat/Speed Boat/Banana Boat and Canoe rides can also be experienced at the resort. No holiday experience in Kerala can be complete without an exotic cruise in one of those lavishly furnished floating barges called House Boats (Kettuvallam) in the golden waters of the Vembanadu Lake. Punnamada’s own 2 bedroom air-conditioned cocoon - shaped houseboats has been retained and the interior converted into elegant suites. Be a witness to the spectacle of the backwaters always maintaining a higher level than that of the palm fringed paddy fields on either side. The Ayurvedic Centre at the resort is classified as ‘Green Leaf Ayurveda Centre’ by the tourism department and that is the highest classification an ayurveda treatment center can receive. 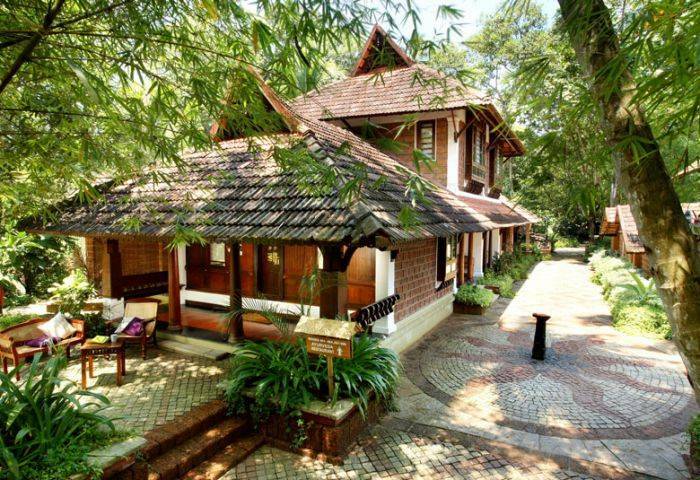 The ayurveda centre at Punnamada provides all facilities for a holistic healing including various treatments, ayurveda diet, yoga and meditation. We also have a multi-cuisine restaurant which provides 24-hour service with varied choice of food along with a selection of the finest wines as accompaniment. Punnamada Resorts also offers an array of outdoor and indoor games like Volley ball, Cricket, Badminton, Cycling for both children and grown-ups, Pool table, Chess, Caroms, table tennis etc to name a few. We also have a huge swimming pool with a kids pool attached to it. Activities like Backwater Cruises, Fishing & Bird Watching, Sunset Cruise, Local Site Seeing, Shikara ride through narrow canals, Village walk, Kayaks/Pedal boat/Speed Boat/Banana Boat and Canoe rides can also be experienced at the resort. Online Payment on Booking the hotel. Closer to Alleppey Railway station.